Our product range includes a wide range of mitsubishi split air conditioner, mitsubishi residential split air conditioner and 1.5 ton mitsubishi residential split air conditioner. Usage Office, Residential, School, Etc. Matching up with the ever-changing demands of our clients, we are involved in offering a huge collection of Mitsubishi Split Air Conditioner. These ac are procured from the licensed market vendors. Empowered by a team of hard-working professionals, we are able to bring forth a qualitative range of Mitsubishi Residential Split Air Conditioner. The offered ac are strictly tested before the final delivery. 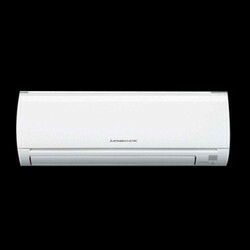 Aiming to achieve a respected niche for ourselves in the industry, we are actively involved in presenting an excellent quality array of 1.5 Ton Mitsubishi Residential Split Air Conditioner.